For Behind the Shot Part 1, we are featuring photos and stories from John Day Fossil Beds, Monument Valley, Fredericksburg, Texas, Yuma, Arizona, and many more! 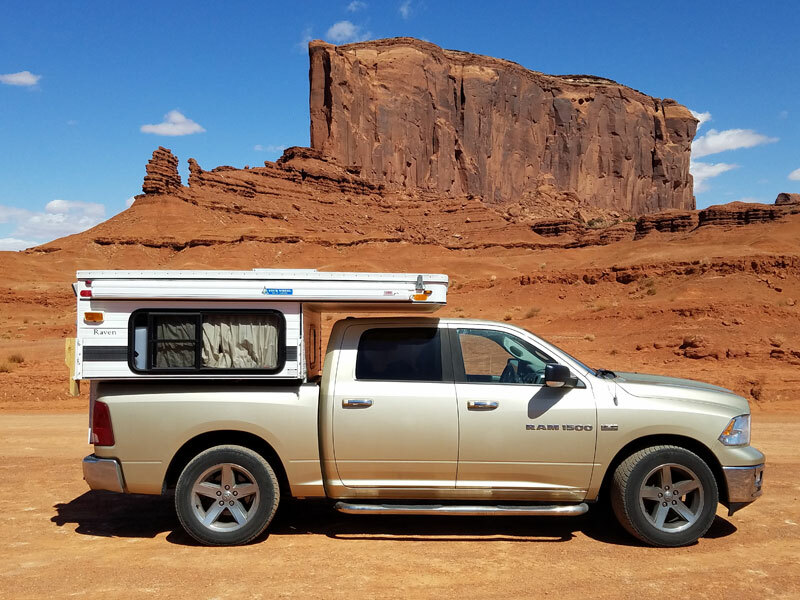 Click here to participate in the 2019 Truck Camper Magazine Calendar Contest and be considered for a Behind the Shot feature. Here is the full moon we saw on New Year’s weekend 2018. Our weekend was filled with quad riding, mine exploring and awesome camping. 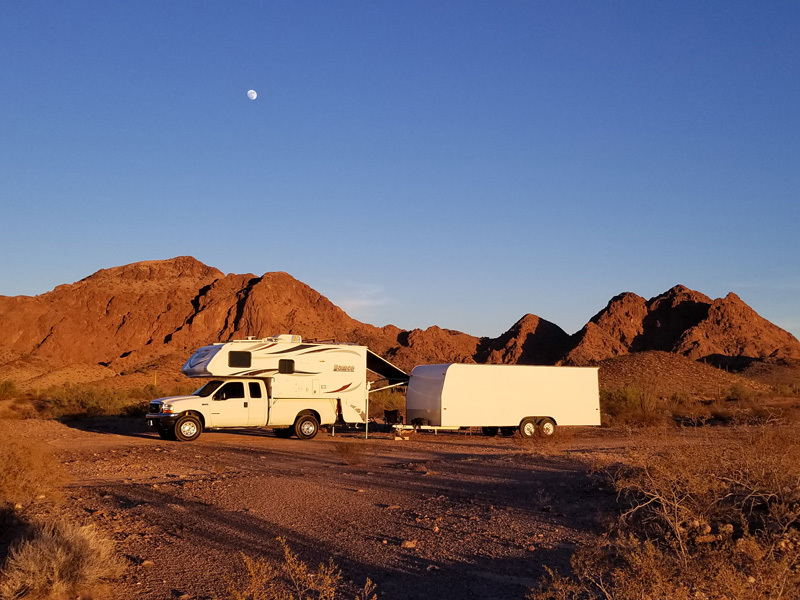 Frenchman Coulee is a dispersed camping area. 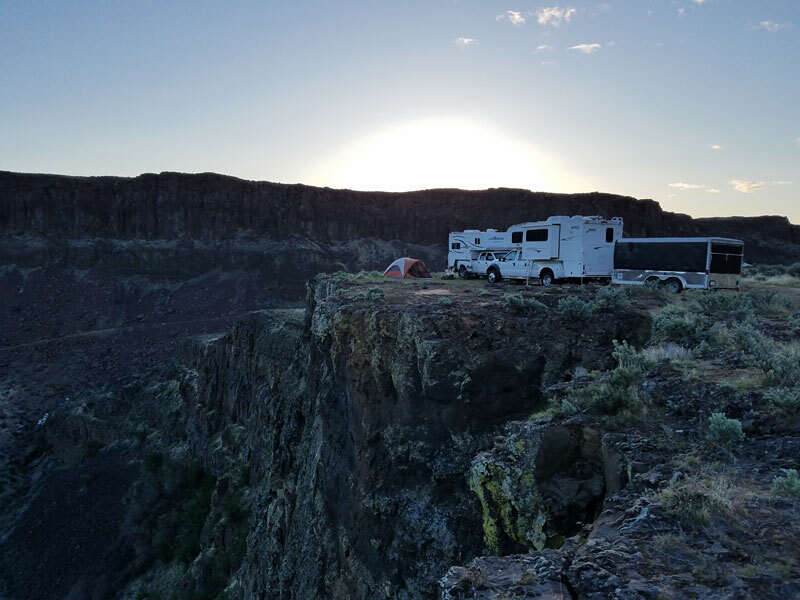 There are beautiful views of the coulee from the cliff’s edge where we camped with our friends, Sally Stomberg and George Brown. Their Lance 1191 and Ford F550 is also in the photo. It is east of the Columbia River near George, Washington. This was an unplanned route to drive past in Oregon. We saw a tourist visitor center and found out that the area has a very special place called John Day Fossil Beds with unique scenery. The hills get their name from the delicately colored stratifications in the soil. The yellows, golds, blacks and reds of the Painted Hills are best seen in the late afternoon. Tones and hue may appear to change from one visit to another, as the clay stones differ with ever-changing light and moisture levels. 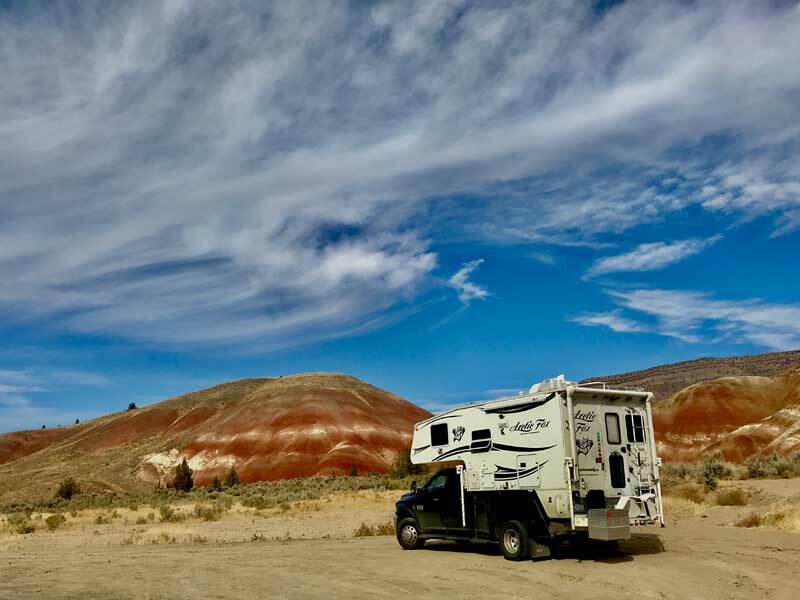 Once you see them for yourself, it’s pretty easy to understand why the Painted Hills are one of the seven wonders of Oregon. I woke up on a Monday and asked my wife if she wanted to go see Monument Valley. I got my truck serviced that day and took off on Tuesday. We went to Prescott, Cottonwood, Jerome, Grand Canyon, Monument Valley, Williams, Oatman and Laughlin in one week and 1,500 miles. We started our trip from Paradise, California to Nampa, Idaho to visit my son and grandson for my grandson’s 8th birthday. 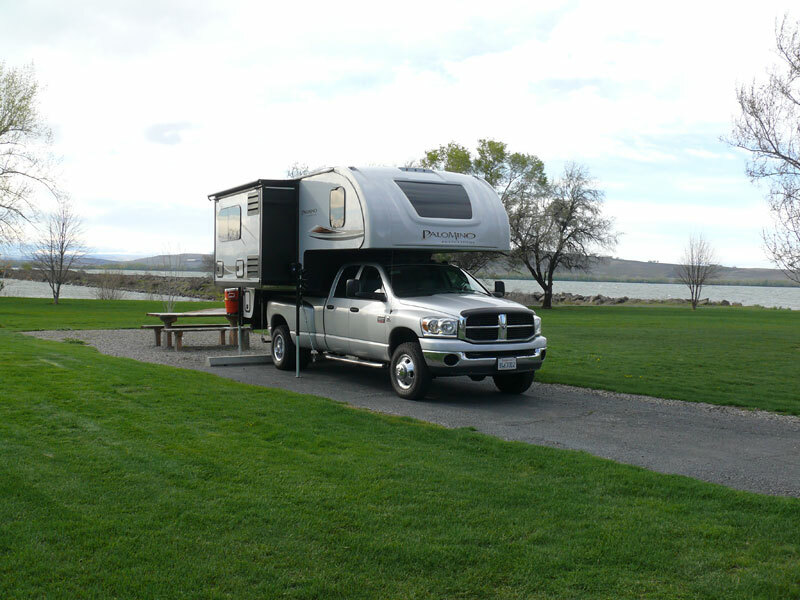 We decided to stop at Boardman RV Marina in Boardman, Oregon as per the advice of a worker at the Chinese tunnels located in Pendleton. Then, we went to Port Angeles, Washington to visit friends. After leaving Port Angeles, we spent the night on the Columbia River on the Washington side at New Bonneville campgrounds. Then we went to Bend, Oregon. 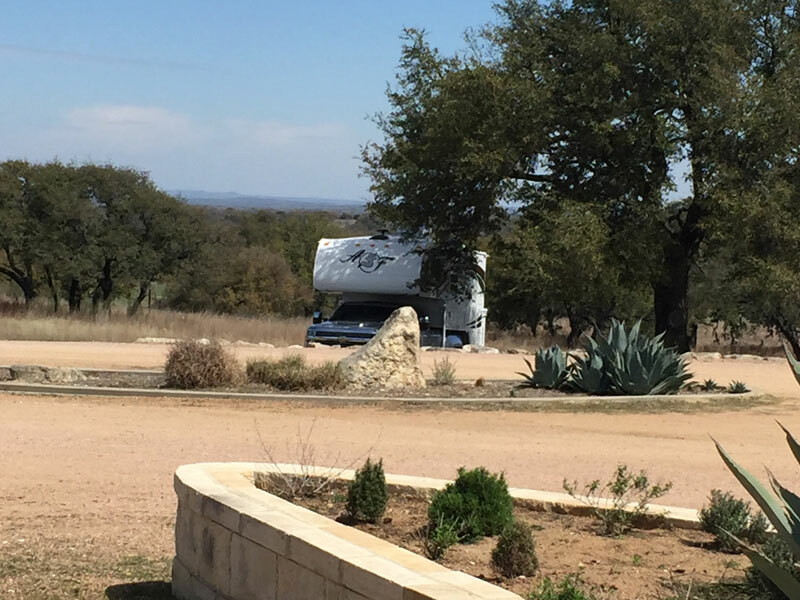 Poll: Propane Fill or Propane Exchange?